Today after a nice leisurely breakfast on board the barge we all headed out to do a walking tour of Bruges. Our local guide showed us the picturesque historic areas and gave us an insight to life in Bruges both past and present. 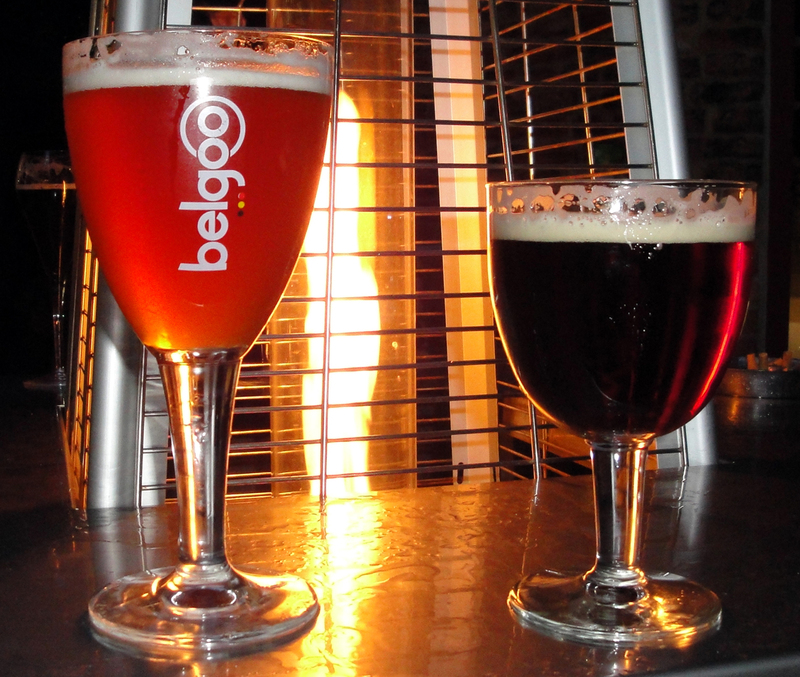 Of course you couldn’t have a tour of Bruges without some beery sites, here are two; De Halve Mann Brewery and Gruuthuse. 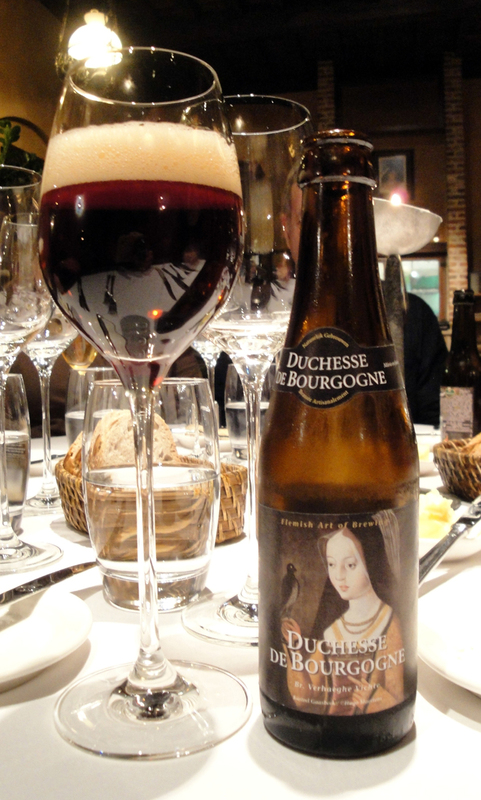 The Gruuthuse was owned by one of the richest families of Bruges during the medieval times. 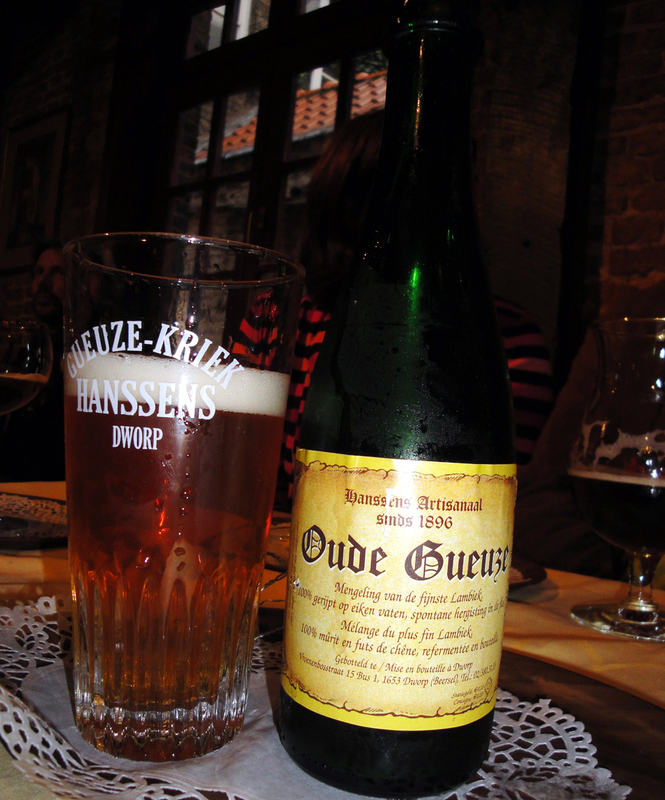 The old Flemish word ‘gruut‘ was the main ingredient for beer brewing in the Middle Ages. 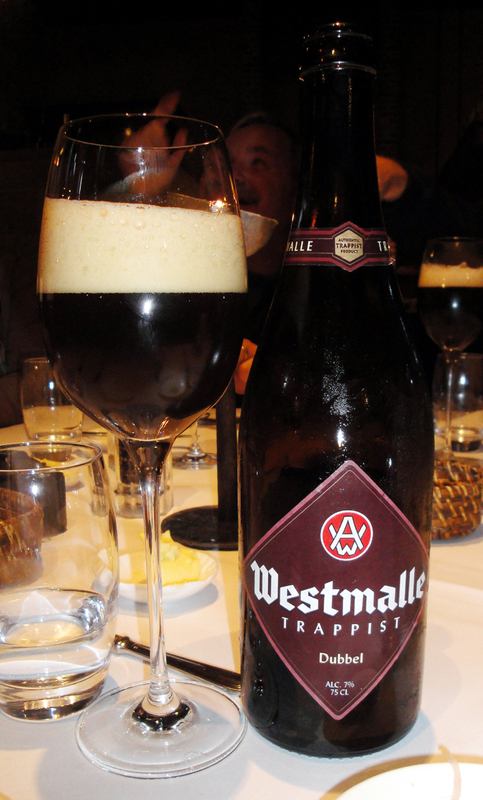 The lords of Bruges had the monopoly on the sale of this very important product and taxed its use. Since everyone was drinking beer, their monopoly made them very wealthy and powerful. (huse = house). 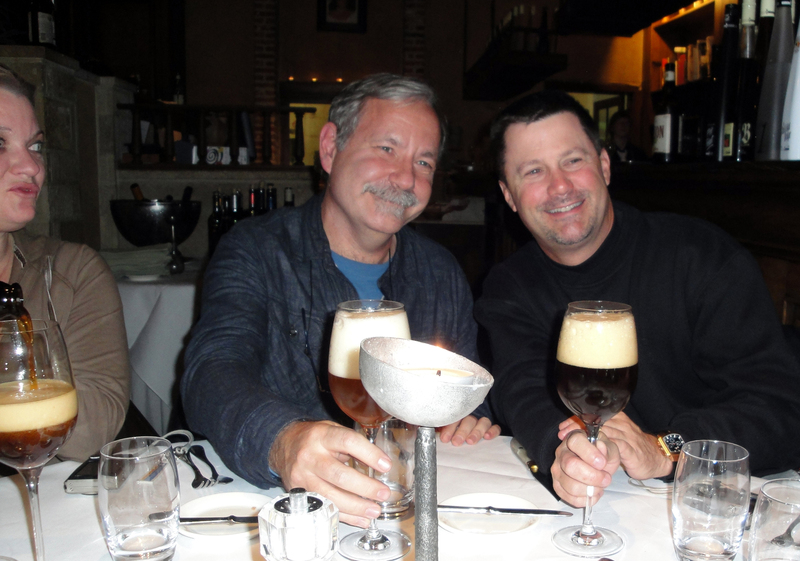 After the walking tour we had lunch on the barge and then were free to explore Bruges on our own until dinner at Den Dyver. 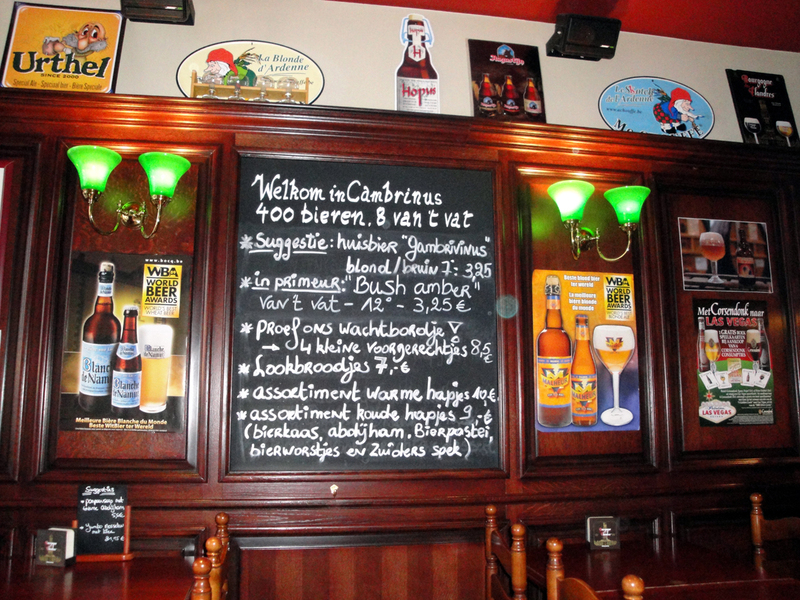 Bierbrasserie Cambrinus : They have a massive beer menu which is bound in a wooden cover. 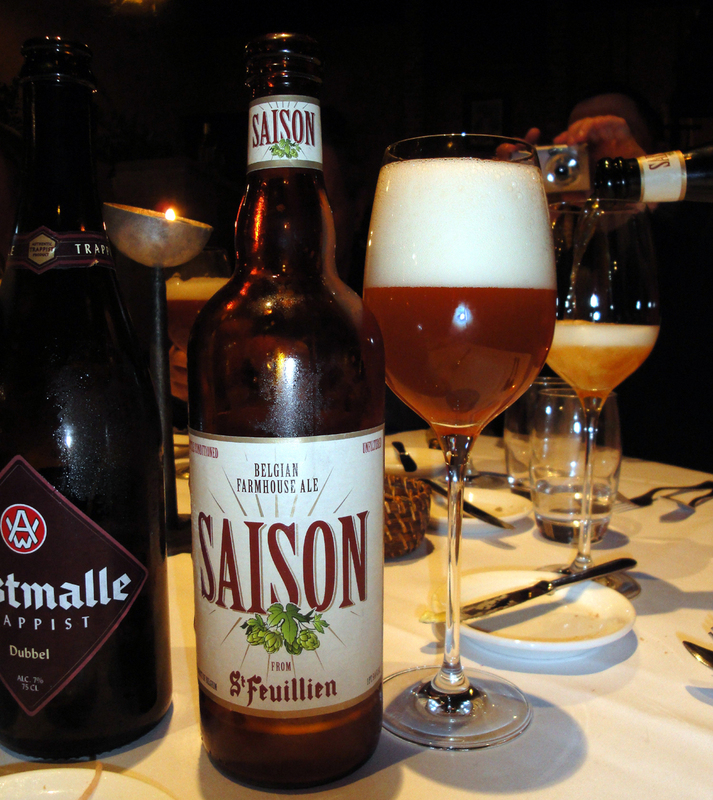 They have about 400 bottled beers and 8 on tap, as well as a fantastic food menu with cuisine ala bière. 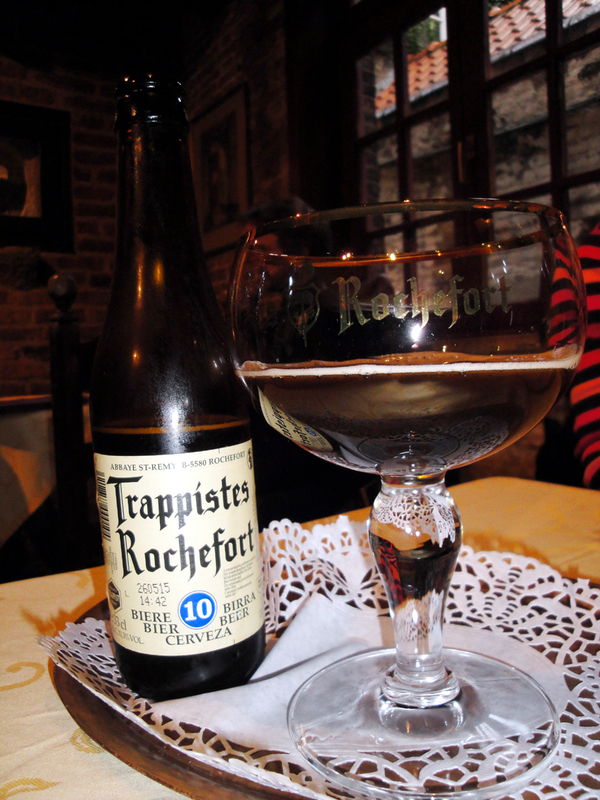 Rochefort 10- a Quadrupel with an abv of 11.30% and brewed at the Brasserie de Rochefort at the Abbaye de Notre-Dame de Saint-Remy. I wanted to see the new bar which took over the location vacated by De Zolder, Comptoir des Arts, so we took a short walk just outside of the Grote Markt. 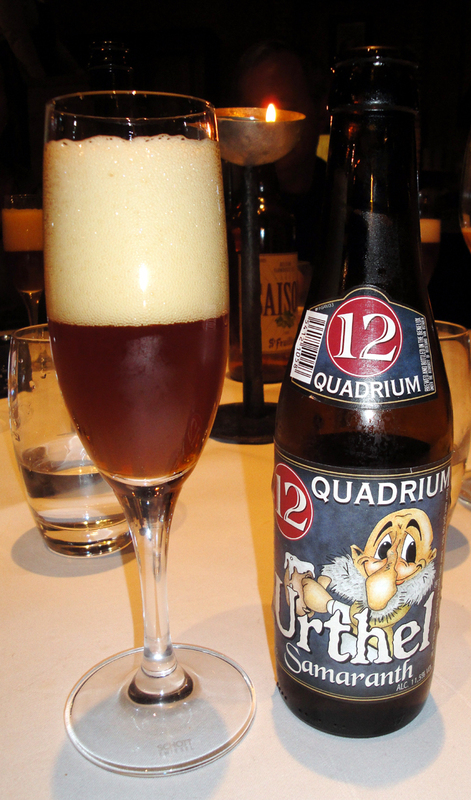 Comptoir des Arts is a cellar bar which was opened up recently by one of the former bartenders at ‘t Brugs Beertje. It is a jazz & blues bar with over 90 beers & I was excited to see what they had to offer, but we were out of luck, as they were not to open for another hour. 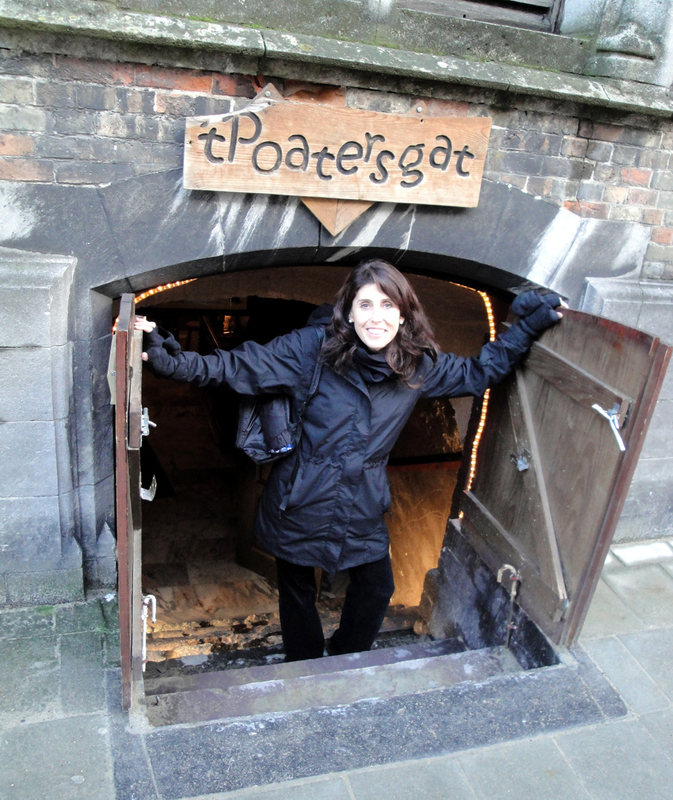 So we walked across the street to go to ‘t Poatersgat, also a cellar bar which has over 100 bottled beers including a nice assortments of Lambic & Gueuze. We walked downstairs and the place was empty, as they just opened up for the day. 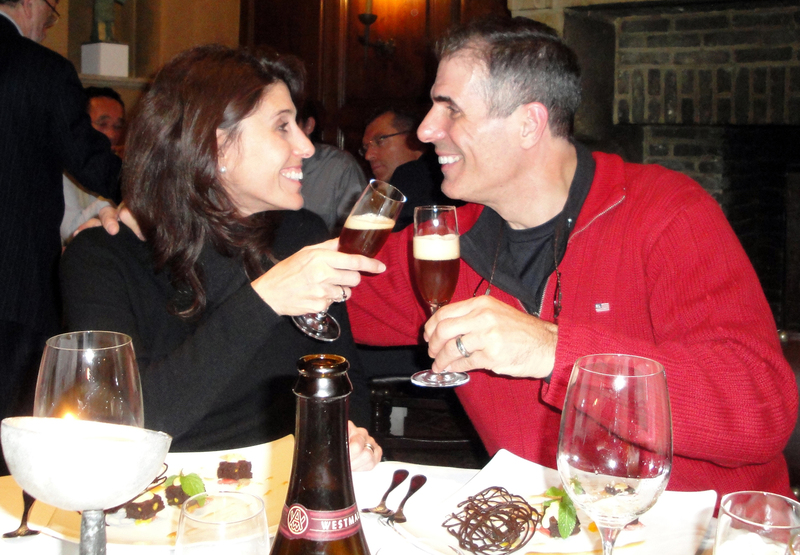 We wanted to be somewhere that was a little more crowded so we could be more social, so we left and headed to my old standby… Staminee De Garre. 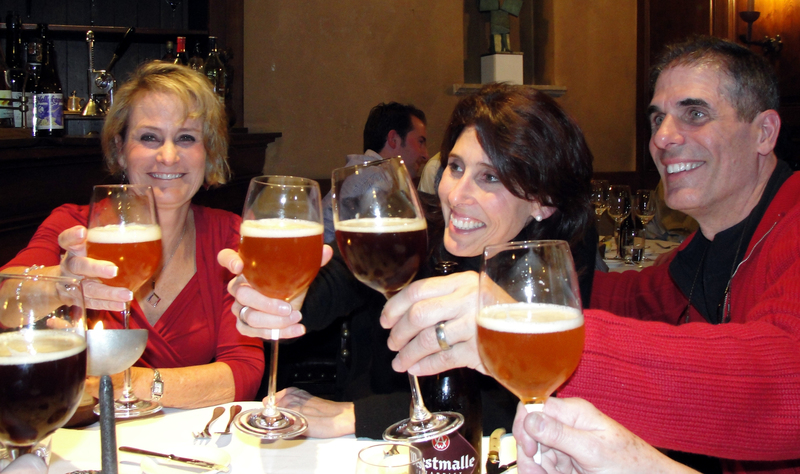 De Garre was packed but we were able to find a table to share with a nice couple from Belgium. So here we got our chance to have a few good beers and enjoy conversation with a couple of locals. 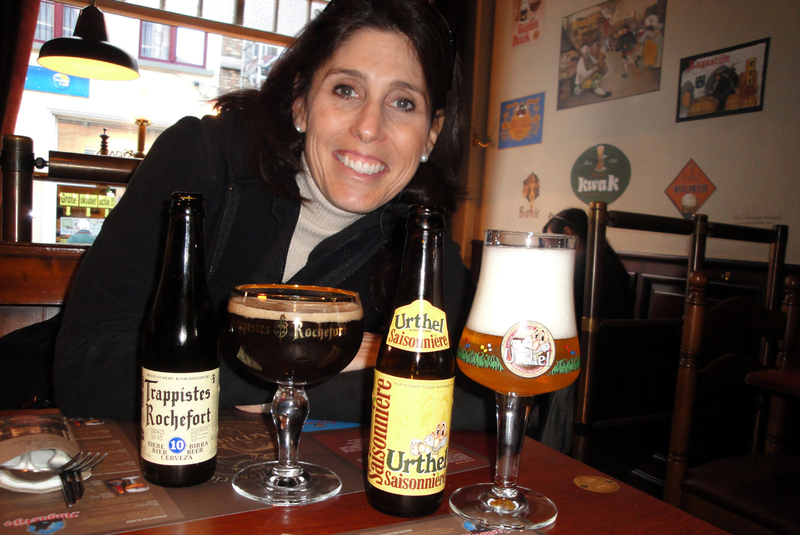 for the second time today the Rochefort 10, which my wife Ruth just can’t get enough of. 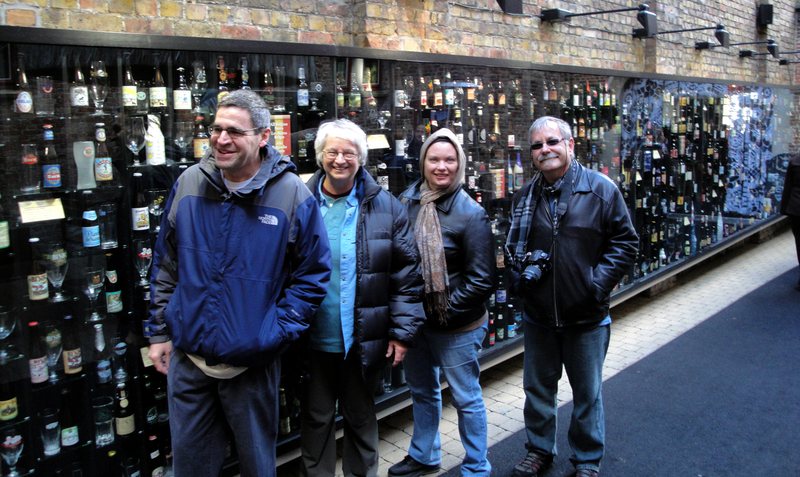 After finishing our beers, conversation and some cheese we had time to head to one more place before dinner. 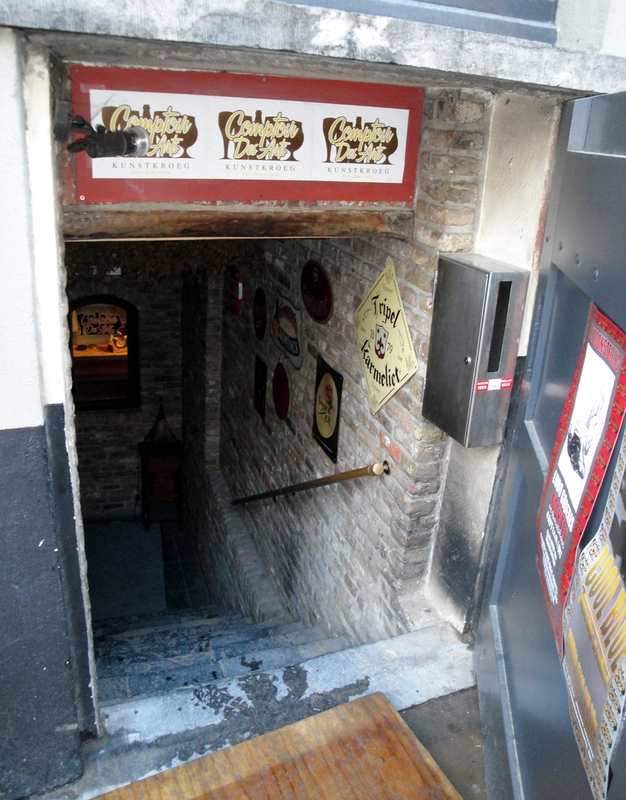 We went to the beer bar at the back of the massive beer bottle shop 2be, which is only a few steps from Den Dyver. On the way to the bar you pass 2be’s famous wall of Belgian Beers. On this wall they have on display all 780 of the Belgian beers found in the book All Belgium Beers, along with the appropriate glassware. The wall is an amazing sight to see for both the beer geek and the novice. At the bar we had the Belgoo Magus a Belgian Pale Ale of 6.6% abv brewed by Brasserie La Binchoise and a very unmemorable Belgian Dark Ale, which was apparently so forgetful that its name has slipped my mind. We all made it to Den Dyver and were happy to be hungry, as we knew we were going to have a feast. 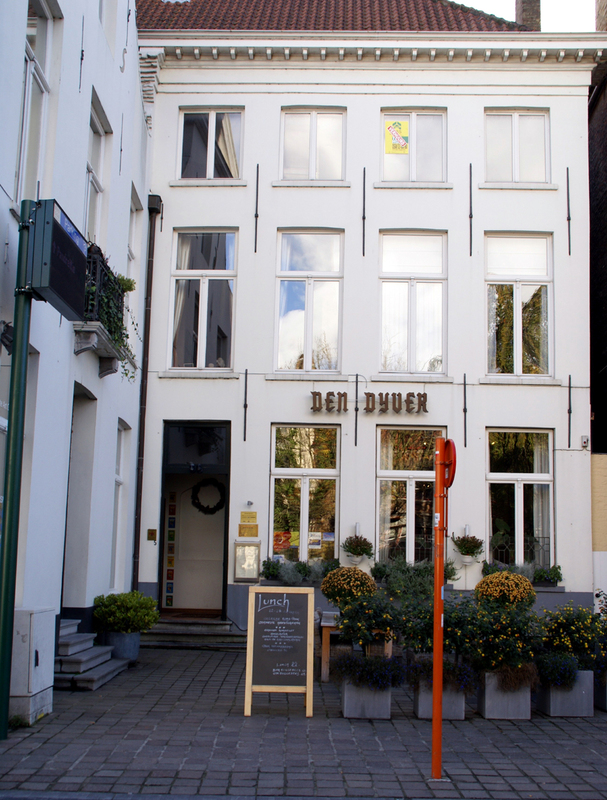 Den Dyver is well known for its cuisine a la bière. 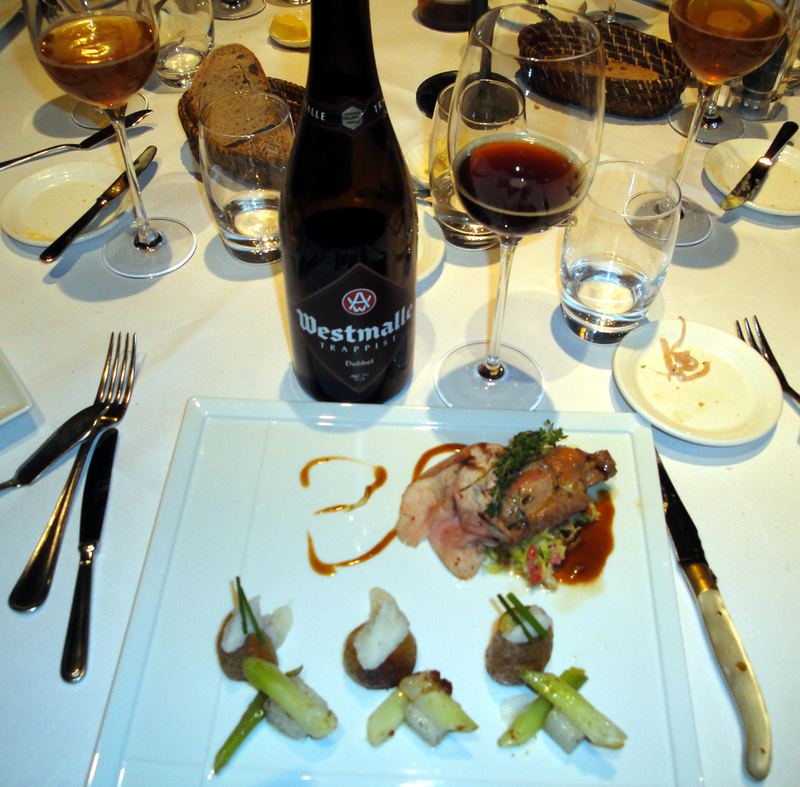 They received the 2009 Gold Medal Beer & Gastronomy Award from Bierpassie, Ambiance Magazine & Maxwell Williams. 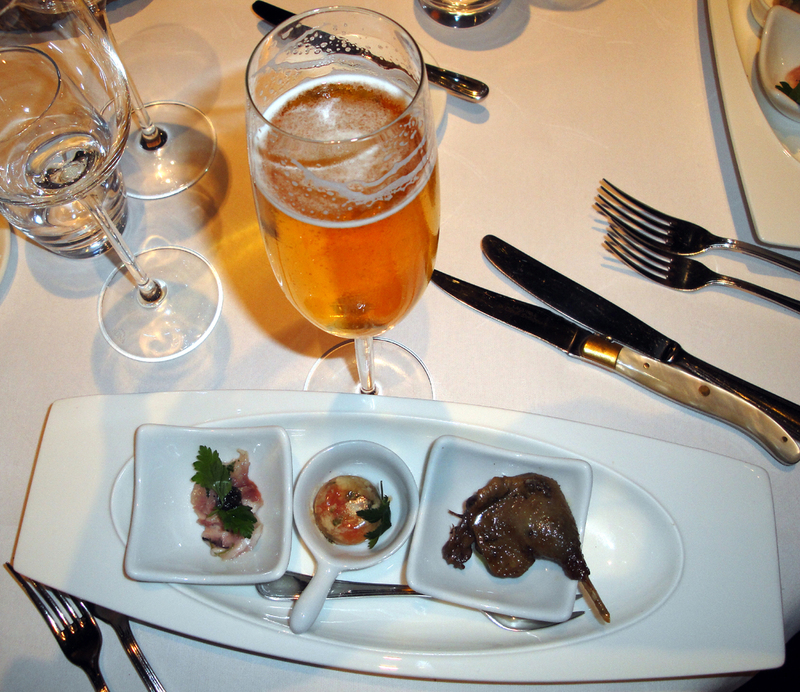 We all started off with the House Blonde Beer as an aperitif along with an appetizer plate consisting of 3 items, including a delicious crispy duck! For our 2nd plate, some chose to have the Artic Char with garden peas, hazelnuts and dill marinated with onion, tangerine oil and chili salt. 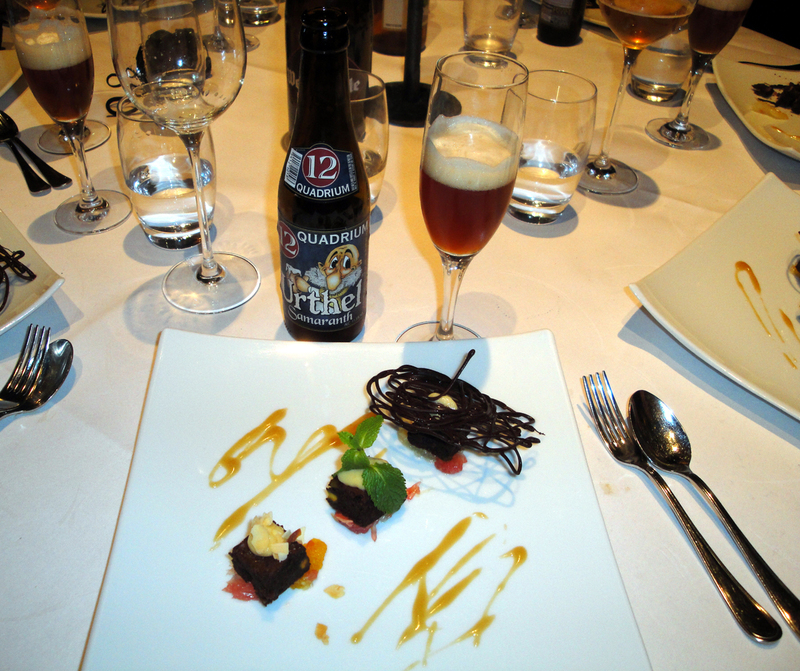 This was paired with Cuvée des Trolls which is a 7.0% abv Belgium Strong Pale Ale from the Brasserie Dubuisson Frères. Others chose for the 2nd Plate, the trio of Salted Wild Boar smoked on Rodenbach wood, Wild Boar Sausage with apple and sage & Wild Boar Croquette with cranberries and black radish. 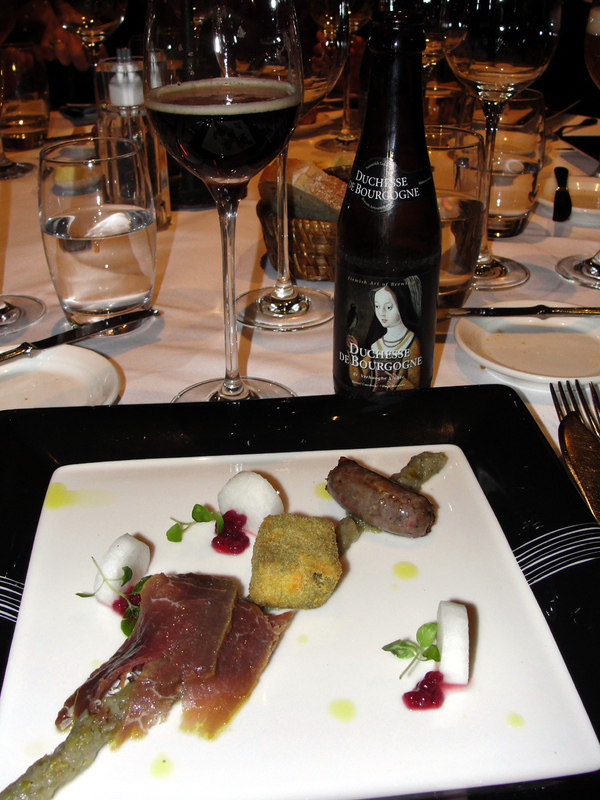 This was paired with Duchesse de Bourgogne which is a Flanders Red Ale of 6.2% abv brewed by Brouwerij Verhaeghe. 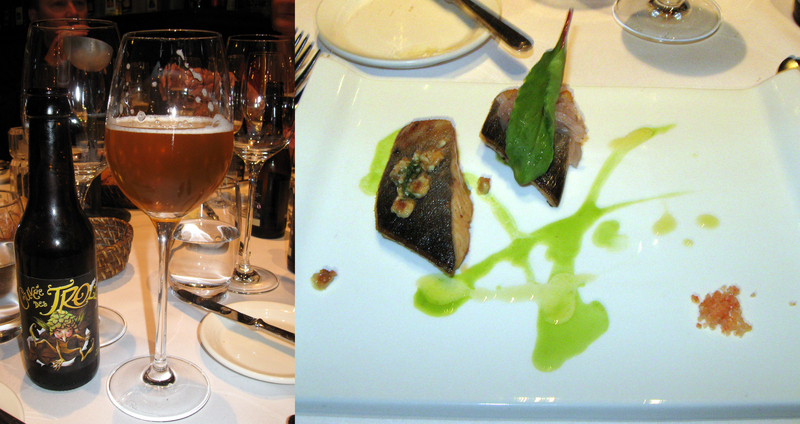 The Snapper was paired with Saint Feuillien Saison- a Saison of 6.5% abv from Brasserie St. Feuillien. Stay tuned for Day 3, when we leave Bruges and travel through the canals of Belgium on our Barge, the Iris, to Gent where we will spend 2 days before heading to Antwerp and Brussels.